Evangel acknowledges that man’s greatest problem is sin, not ignorance, and that the solution is salvation, not education. Any education that does not deal with a man’s soul, with his moral darkness, and hostility to the Lordship of Christ cannot properly be called an education, and it certainly cannot compensate for a man’s lack of righteousness before God. Sin affects man’s ability to think and perceive truth. Without the gospel, he cannot know the truth. Evangel acknowledges what is “the power of God” to save the world. We desire nothing less than the transformation of men as those who have been resurrected to new life, declared righteous and being made more like Christ by faith. These gospel-made living sacrifices will not be conformed to this world, but will necessarily penetrate and challenge the gods of this age as they are transformed by the renewing of their minds. Evangel acknowledges that whole nations have been redirected by the recovery of the gospel. In particular, the 16th Century Protestant Reformation was a grace-enabled renewed understanding of the gospel as the light came after Dark Ages. The evangel changes persons and peoples. Perhaps the reason we see so little transformation in our culture is because we have so little gospel. Evangel acknowledges our linguistic roots. It is one of those rare words, grounded in Greek, borrowed by Latin, and brought up to English. The history of word follows a similar path to the history of our Western culture. Evangel acknowledges our connection with Trinity Evangel Church but also shows a distinction between the two. 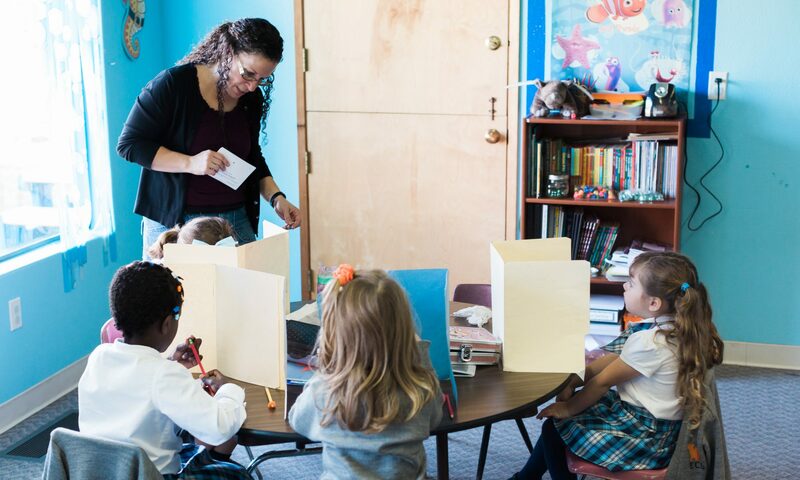 While the church and school overlap in doctrine and principles, the school is piloted by Christian (evangelical) parents.